Sandvik Coromant is pleased to announce that they have just released a free App that has been specifically designed to offer engineers and machinists a convenient resource for calculating cutting data. When installed, the App will assist users in optimising performance of their turning, milling and drilling applications by calculating a job’s unique parameters. This machining calculator app features a help function that provides extra information on the calculation being executed, and the input required to produce results. It also features a process cost comparison that decides how tool optimisation can offer cost and time savings. The machining calculator App is available on both iPhones and Android phones. 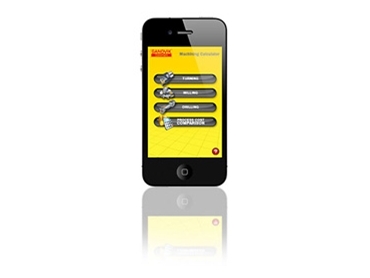 Additional information on the free machining calculator App is available from Sandvik Coromant.